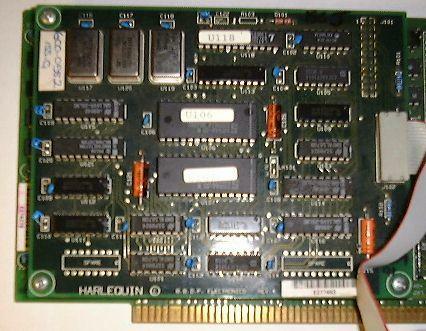 The harlequin is a video card which has primarily PAL resolutions. 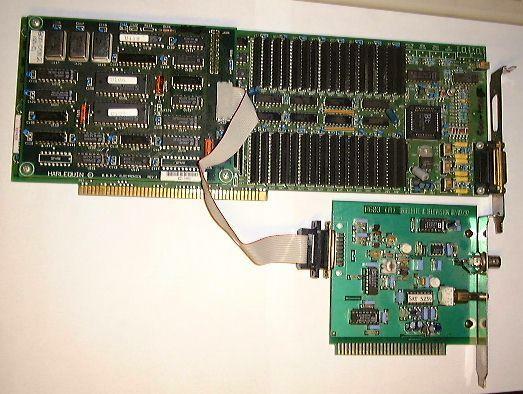 In combination with a genlock made by Satelite et Television (as shown above) and their Time Base Corrector the MSP 3400 the Harlequin could be used for 32bit broadcast quality video. 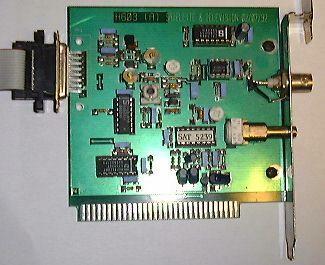 TVPaint was available for the Harlequin up to Rev 3.5 and ADPro has savers for the card. 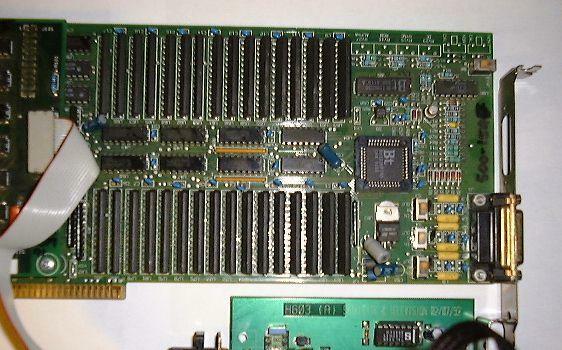 One feature of the harlequin was its ability to display low resolution animations (160 x129) at 25fps in 24bit. Page contributors: Cedric Gampert, Cyrille Varnier.